As your business grows, it will become more and more important to maintain good relationships with your customer base. As a small business, keeping track of customers’ needs is comparatively easy but for larger businesses it is all too easy to become a faceless corporation. All customers have certain expectations and your business should be designed to meet those expectations. If you find that you are going off track and you’re not sure how to get back, asking your customers is the best way to find out what they want. A great way to do this is through a community or forum where customers can share ideas with each other too. But the key part is listening and acting on their responses. If there is one thing you can do that will make your customers happy, it is simply listening to them and then making a change. Not every customer will give you a good idea — and you shouldn’t let customers cloud your vision —- but quite a lot of them will tell you how to resolve a problem. All companies will have moments where they wish they could have done better, but if you are seen to be making improvements or helping customers out, it will do wonders for your brand image. To make the most of your conversations with customers — especially if you are running a call centre — you really should invest in some analytics software like Evaluate Quality. This will help you to set procedures in motion to deal with similar problems consistently but it will also give you the opportunity to see where you can improve your relations. By giving your team the best software, they can really start to make a difference to the way you deal with customers, improving retention and providing a high quality service. Social media is both brilliant for companies and a potential minefield. You really do need to watch out for how your social interactions come across and be certain that when you post, you are looking out for the best interests of your audience. Basically, don’t say or do anything offensive! That being said, there are all sorts of creative ways that you can draw your customer’s attention on social media. For example, you could use light-hearted GIFs, make self-deprecating jokes or even tease rival companies. Social media is a great way for brands to make themselves a bit more approachable so a great social media exec will take you a long way. As your company grows, customer relations are going to be even more important to you. You need to be able to gather the right information, analyse the results and put processes in place to make sure that you can deal with any problems, encourage other customers to get involved with your brand and, above all, be consistent with your message. 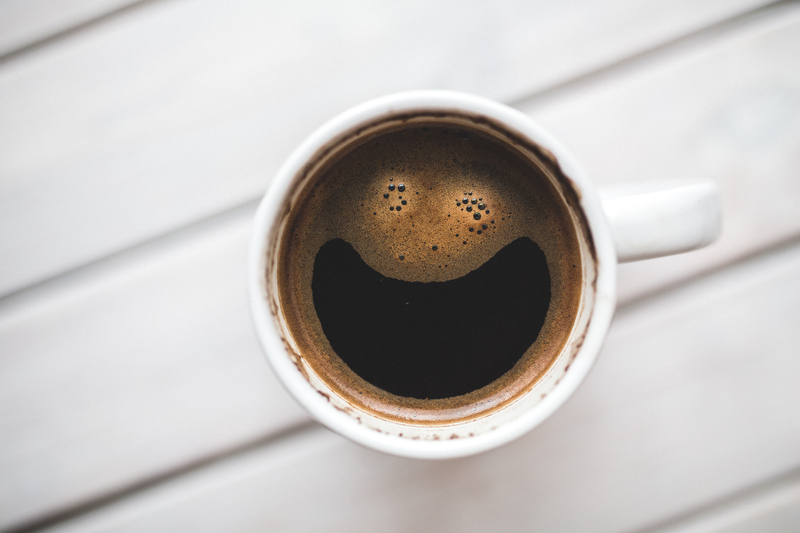 A business is nothing without its customers, so do whatever it takes to make them as happy as that cup of coffee! If you’re a small business owner then the chances are you’ve been told to outsource. This usually leads to some small business looking to outsource every single job they have. It’ll save money, they think. In reality, outsourcing only saves money and benefits your business when used correctly. So, today’s your lucky day — here are some pointers that outline when it’s right for your business to outsource. In your small business, there will be some jobs that are constant and some that aren’t. Now, here’s a question worth considering — why would you hire a full-time employee for a job they won’t have to do every single day? It’s a waste of money. Hire on an as-needed basis is the best approach — and this is where you’re far better off outsourcing. Things that come to mind include content writing for your website or even web design. It’s unlikely you’ll need new web content everyday, or for new web design. So, it makes way more sense to outsource these jobs whenever you need them, cutting your overheads quite dramatically. There’s no denying your business will have some complex tasks that need to be fulfilled. Attempting these yourself can take a long time, and you might not have the skills to do them. The problem is, if you bring someone in on a permanent contract, they could cost a lot of money as it would be a skilled job. Here, we have the perfect opportunity to outsource. If your business outsources a bookkeeper, they handle all the complex financial tasks because that’s what they’re good at. You could outsource a marketing team to handle the complicated marketing strategy, and so on. There are loads of tasks that require skilled individuals, and you’ll find it cheaper to outsource rather than hire permanently. Plus, you could get a team of people doing one task, rather than having to physically hire individuals to make up a team. This final point kind of plays off the last sentence of the above point about outsourcing a team of people. You’ll find this is one of the main benefits of outsourcing — you can pay a company to do a job, and they’ll provide their team for you. This comes in handy when you have quite large-scale jobs that mean you need a lot of people working at once. The main thing that pops into my mind is customer support. Even a small business needs a decent support team for their customers. This could mean hiring a lot of people, even a small support team of five or 10 employees is costly. By outsourcing jobs like this, you get a team working for your business, and all you do is pay the company that supplies them. It’s easier to manage, and you get rid of the overheads like employee benefits, etc. The whole point of this article is that you don’t have to outsource every job. In fact, some jobs are better done in-house. Hopefully, these points help you figure out when you should outsource to gain the most from it. Different businesses tend to get paid in different ways. Some get paid before they do a job or service, while others get paid afterwards. Some don’t actually get paid at all because they fail to implement some of the most crucial things to do as a business. If you’re not getting paid on time, then you can run into plenty of trouble as a business. Here’s how you can start making sure you get paid for the work you do by following these six (6) tips. If this is an expensive service and you absolutely must get paid for the work you do, it could be wise to perform a background check on your customers before you accept them. Smart businesses do this to check the ability of customers to pay. You can then ask for a portion for the project up front, so that you can feel confident this person is serious about working with you and the services you provide. Really encourage your customers to pay by offering a small discount for prompt payment, say within around seven (7) days. However, always be sure to first show them the overall cost of the service or product. This guarantees that your value is communicated above a discount. It’ll be in their best interests to pay you quickly then, and you won’t become something at the bottom of somebody’s to do list. A contract protects the both of you, so make sure you create one and ask them to sign it. There’s no obligation to pay without a contract! There are templates you can use online, but it could be in your best interests to have the contract written up by a professional. Any wrong wording could be the undoing of your contract. Make sure you bill and invoice your customers in a consistent manner. Don’t do it in a way that allows them to forget, like most companies. Online invoicing is the future and will help to cut down time and hassle for you. Avoid waiting 30 days followed by sending out a reminder then extending to another 60 days and a reminder. This approach just doesn’t work. Present several options to customers to facilitate payment after you’ve delivered a product or service or both. There’s no reason they can give not to pay you quickly. You can accept payment using PayPal, direct bank deposit, wire transfer, cheque, cash, and so on. Any business that only has one way to pay is only holding themselves back from growth. How long have they been a customer of mine? How much have they spent with me over the years? What could this customer be going through? You could potentially try to see things from their point of view and arrange something that suits them better if you don’t want to lose them completely. However, it may have to come to selling on to collections if they still avoid you. You are running a business, not a charity.